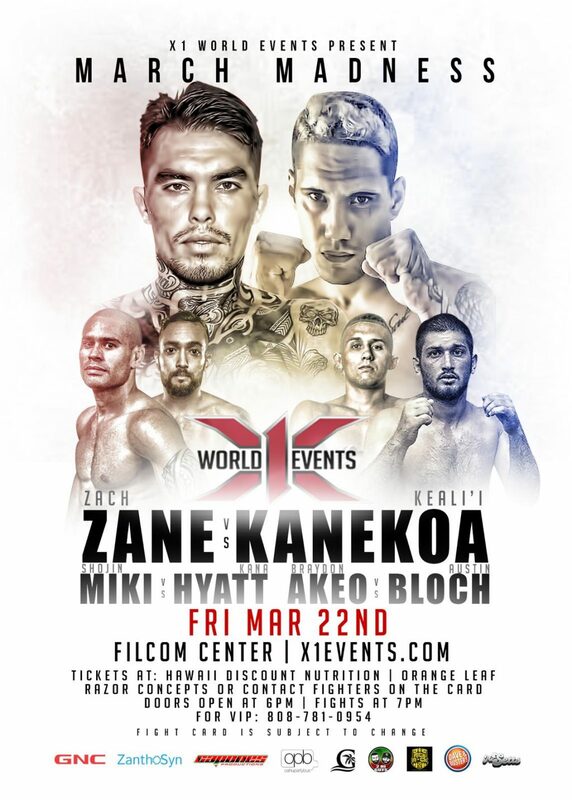 We’ve got ourselves some fights ladies & gentleman, as @x1worldeventsmma brings you X-1 MARCH MADNESS this FRIDAY at the WAIPAHU FILCOM on MARCH 22ND! Come join us for a great night of fights & support these great fighters who’ll be competing that night. With a great Main Event with Zach Zane from Maui going up 2 divisions from 145lbs to 170lbs and fighting Keali’i Kanekoa of the Big Island for the vacant 170lb X-1 State Title. 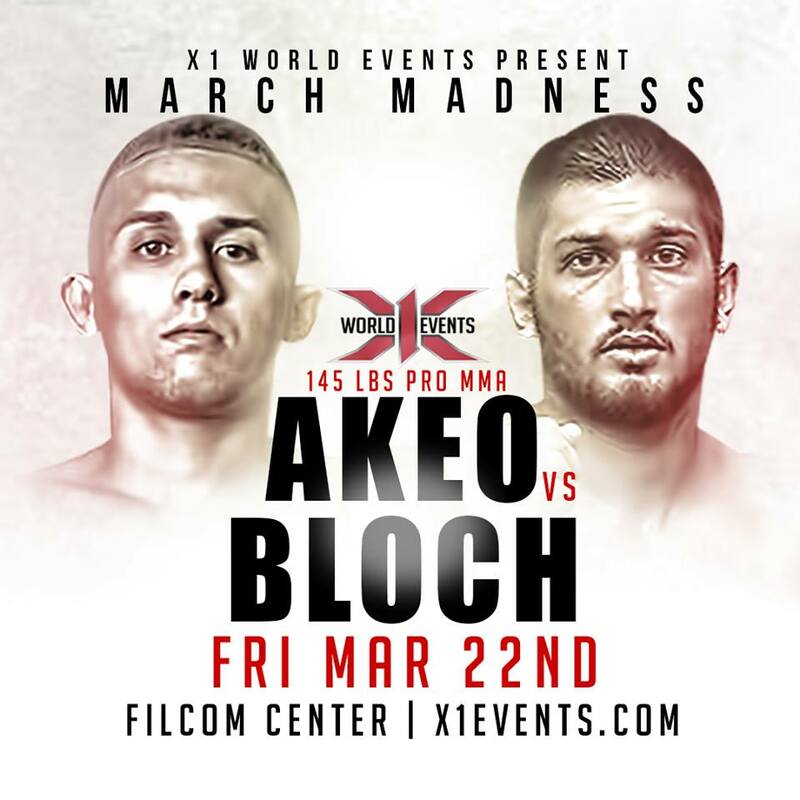 Then we’ve got 2 of Hawaii’s wrestling state champs going to WAR in the Co-Main Event as Oahu’s Braydon Akeo will be fighting Big Island’s Austin Bloch in a 145lb Pro MMA Bout where someone’s “0” has to go, because they’re both undefeated! Can’t forget about this catchweight bout, as we welcome the return to the X-1 ring, Big Island’s own, the “1 Man Riot” Kana Hyatt who’ll be going up against Oahu’s Shojin Miki in a 128lb Pro MMA Bout! There’s a lot more great fights and you can checkout the full fight-card on WWW.X1EVENTS.COM & also follow X-1 on all social media platforms. TICKETS ON SALE NOW at Ticket Outlets and from fighters, but you can also contact 808-781-0954 or (808) 426-8900 for GENERAL ADMISSION & VIP! Thank you to all of our sponsors & if you’d like to be a VENDOR contact us ASAP, as there’s very limited space left. 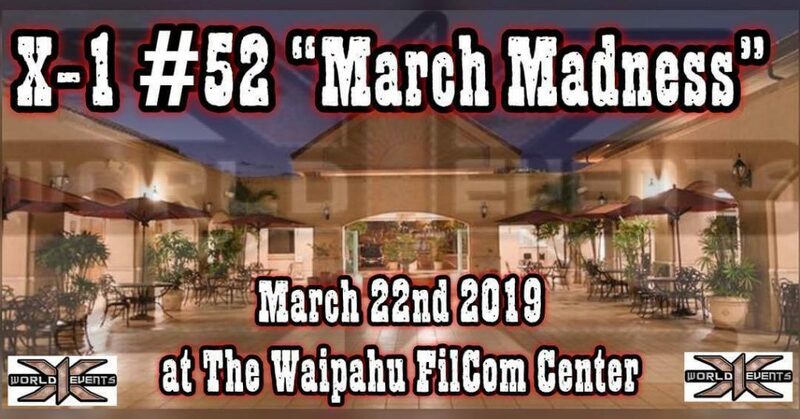 Mahalo and we hope to see you all there THIS FRIDAY at the fights…Aloha!